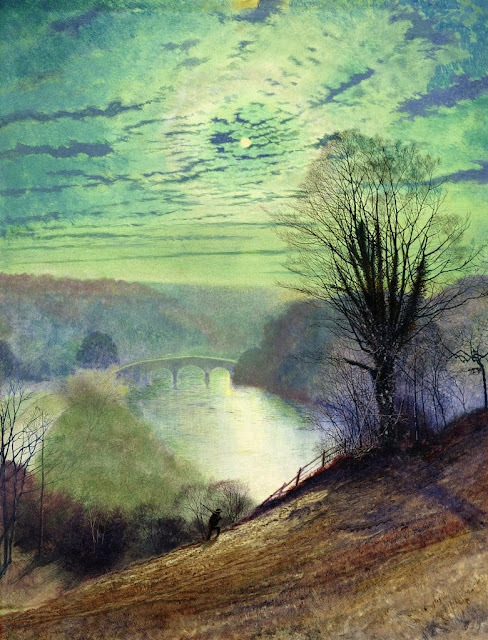 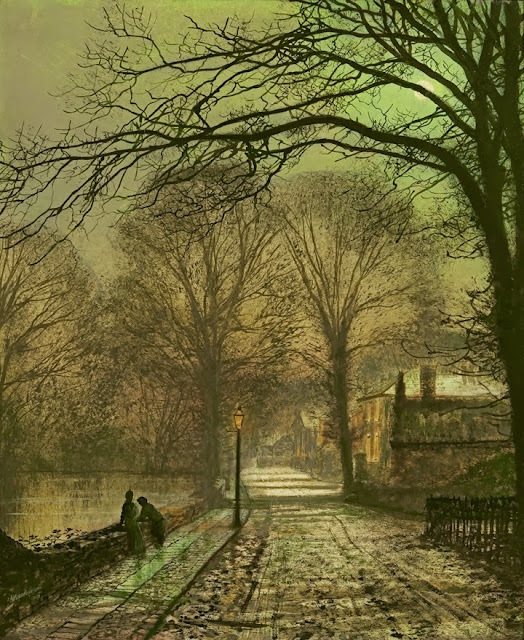 Atkinson Grimshaw was born in 1836 in Britain. 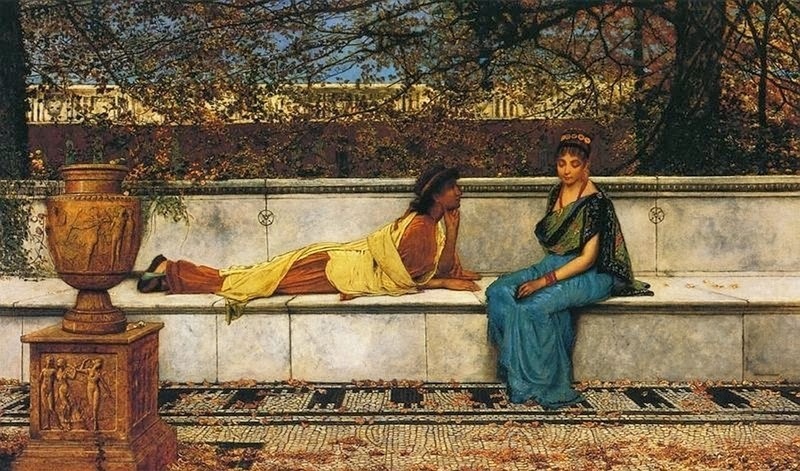 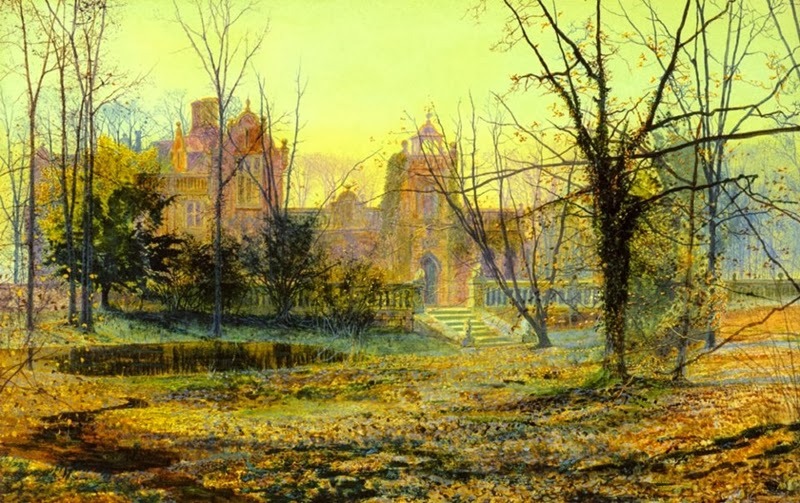 He was a Victorian era painter and was very imaginative painter. 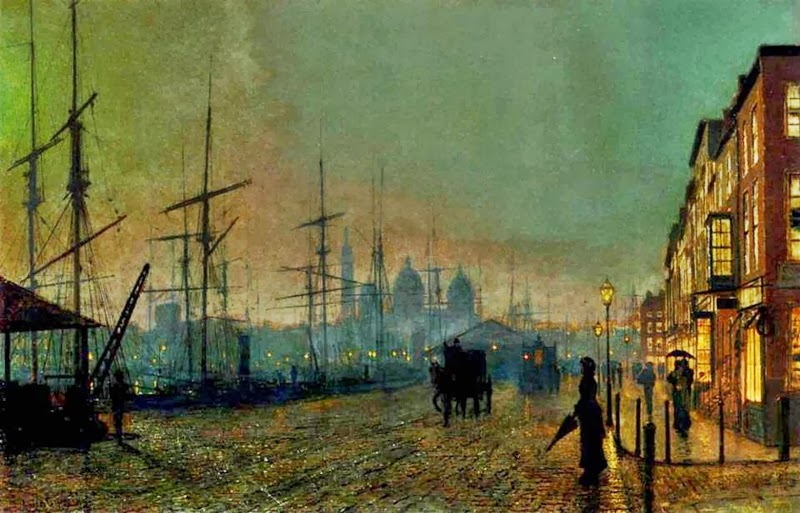 He was very well known for the landscape and city night scene paintings which he made. 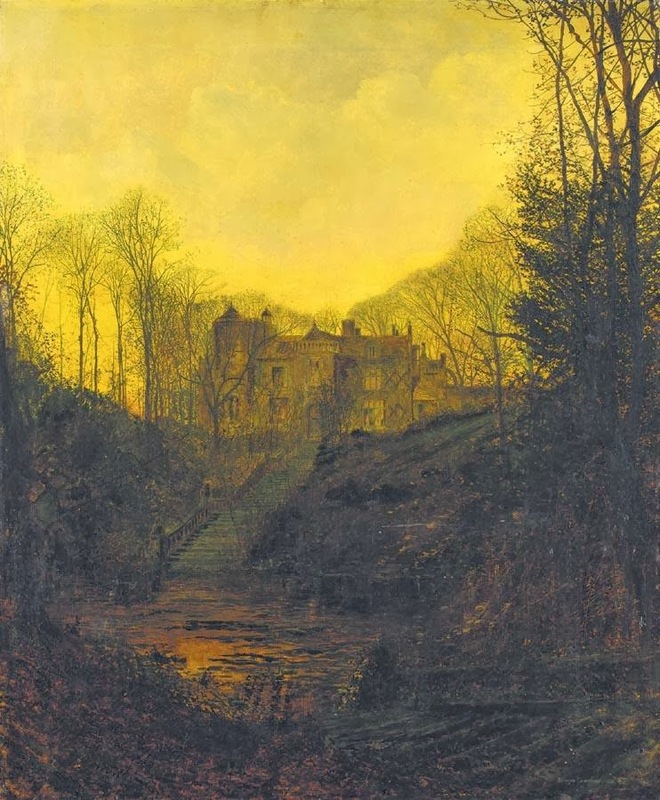 Many famous artists and painter of this Victorian era have left letters behind them recording their works and life such as James Smetham and Vincent Van Gogh, but Atkinson Grimshaw left no letter,journals, papers and documents. 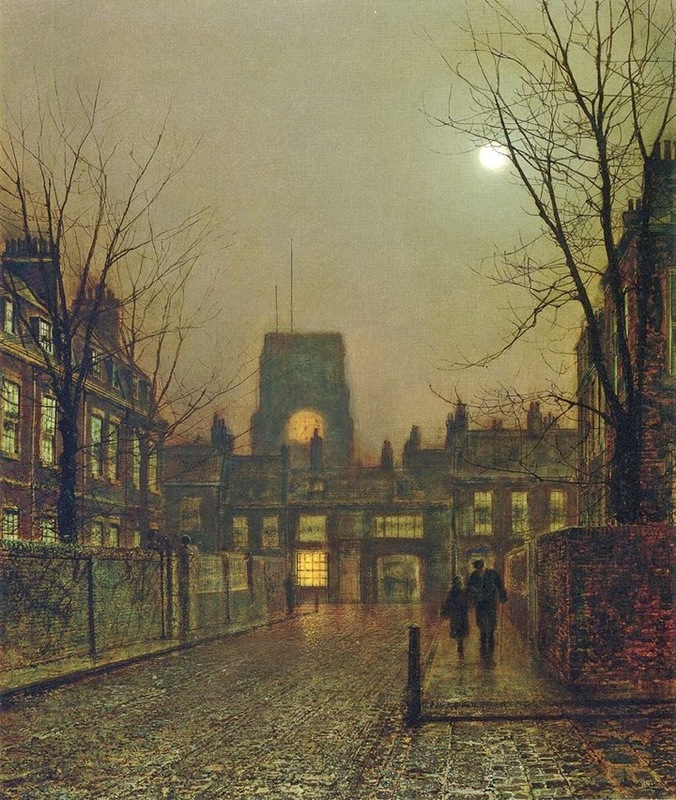 Art lovers, critics and scholars have very little material to understand Atkinson’s Life and career. 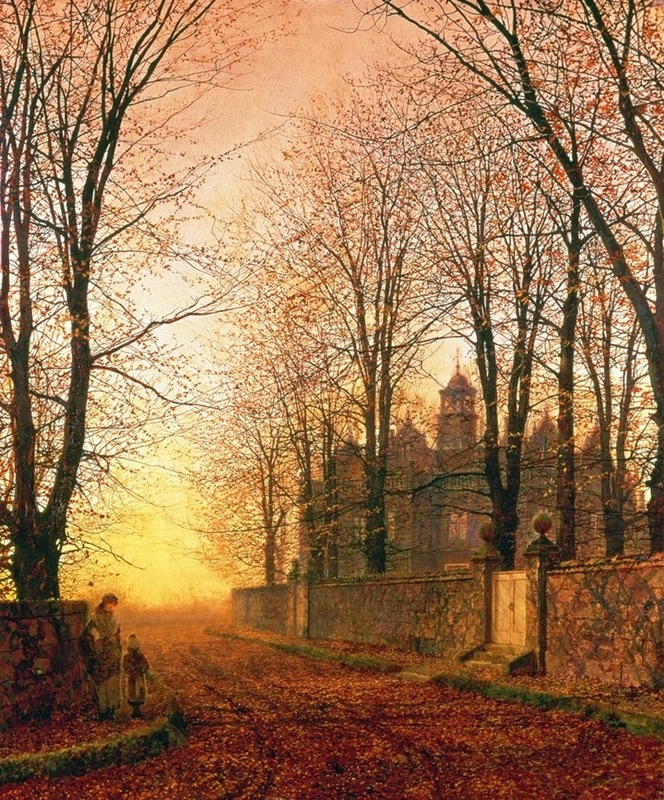 He was much influenced by Pre-Raphaelites and he created landscapes of beautiful and perfect light, colors, details and true realism. 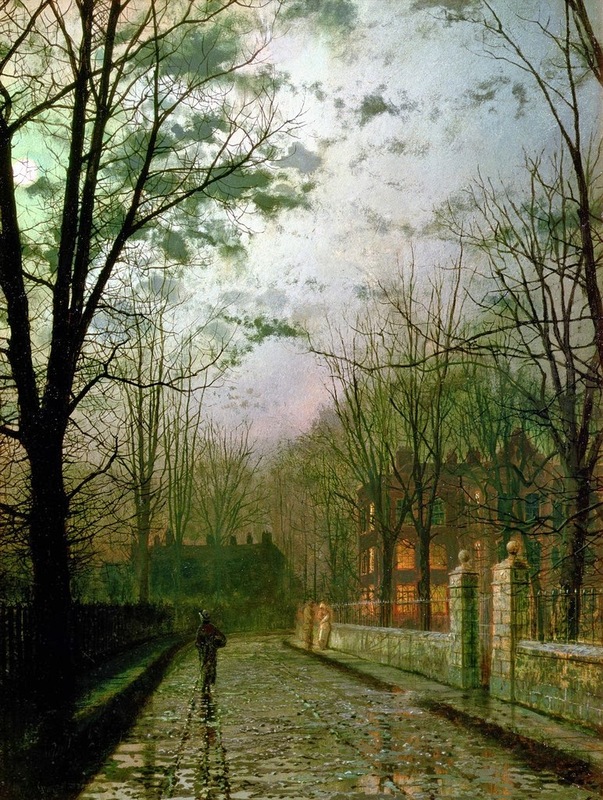 He mostly painted cityscapes, suburban scenes, weather, moonlight scenes and views of the streets and docks in London. 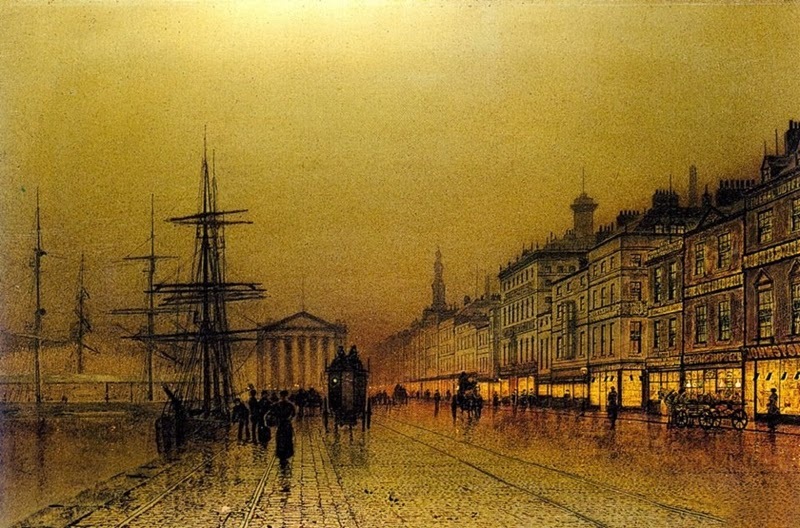 His subjects also comprised of Liverpool, Leeds and Glasgow. 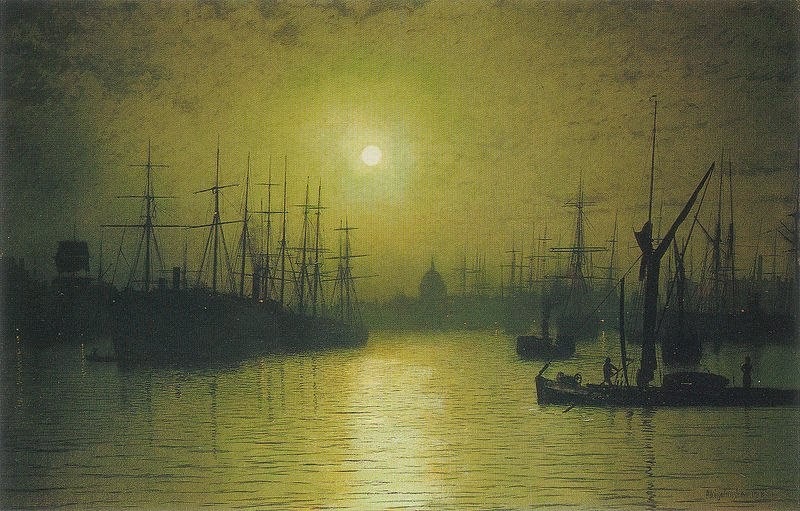 He was perfect in explaining the mood and effect of his art works that he captured all the minute details in his paintings. 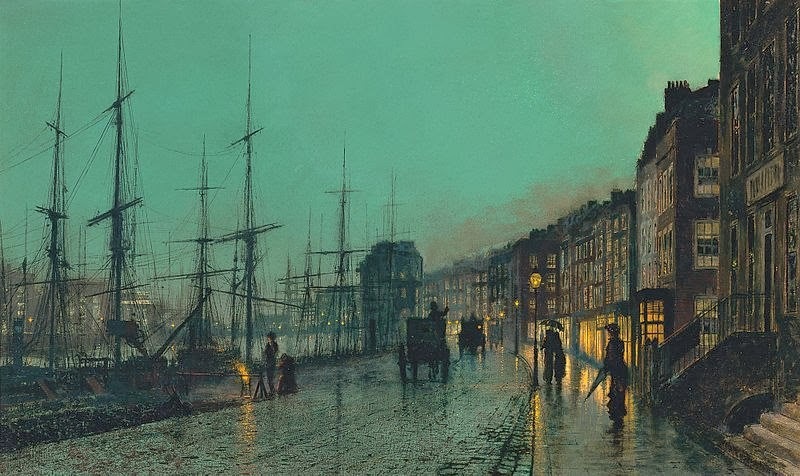 Almost all his paintings comprised of gas lit streets, misty waterfronts and conveyed cozy warmth of the urban life. 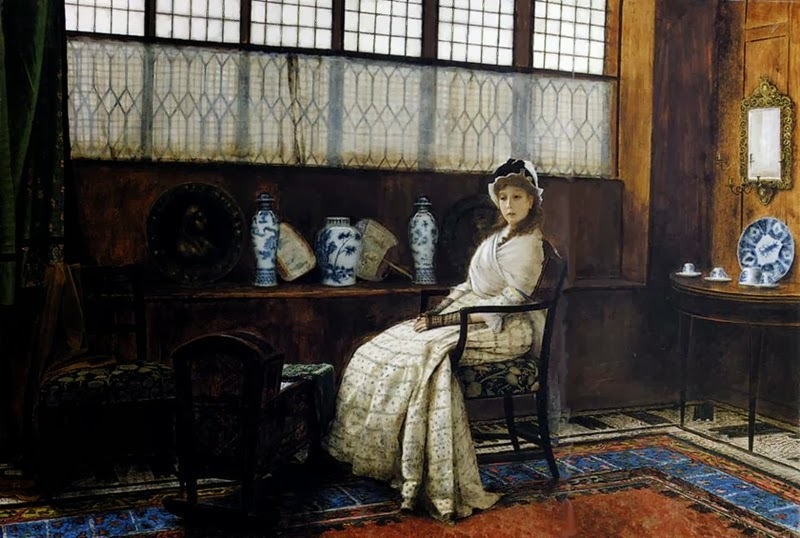 In the 1880’s, he maintained a London Based studio in Chelsea, which was not much far from James Abbott McNeill Whistler’s Studio. 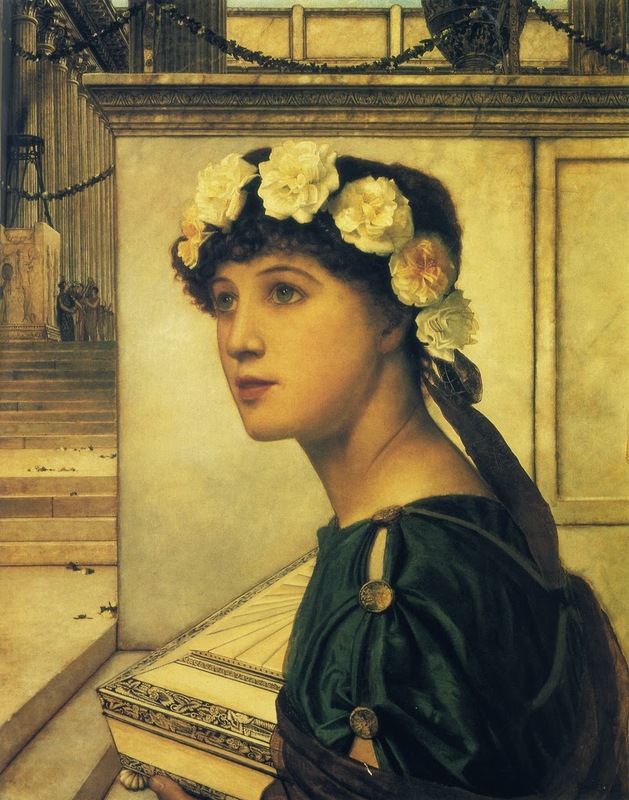 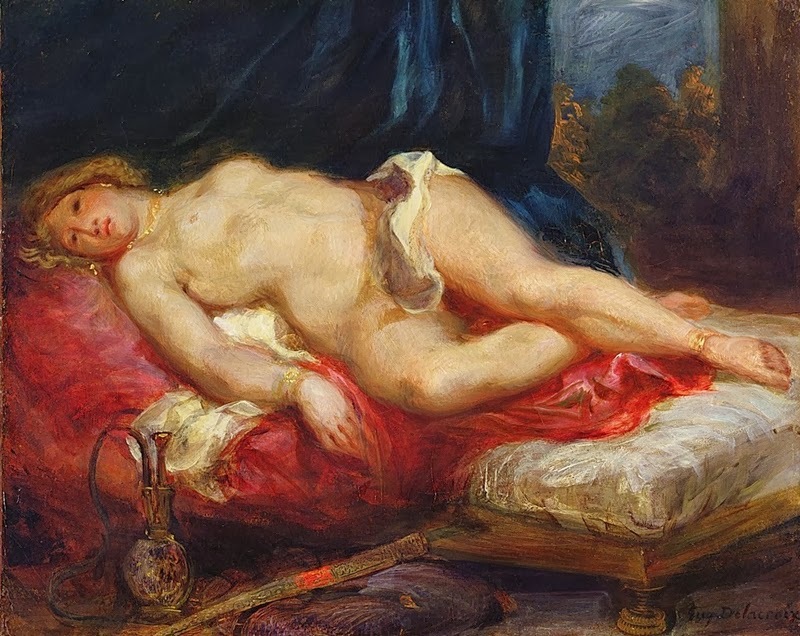 Atkinson’s works mostly comprised of imagined scenes from the Roman and Greek empires. 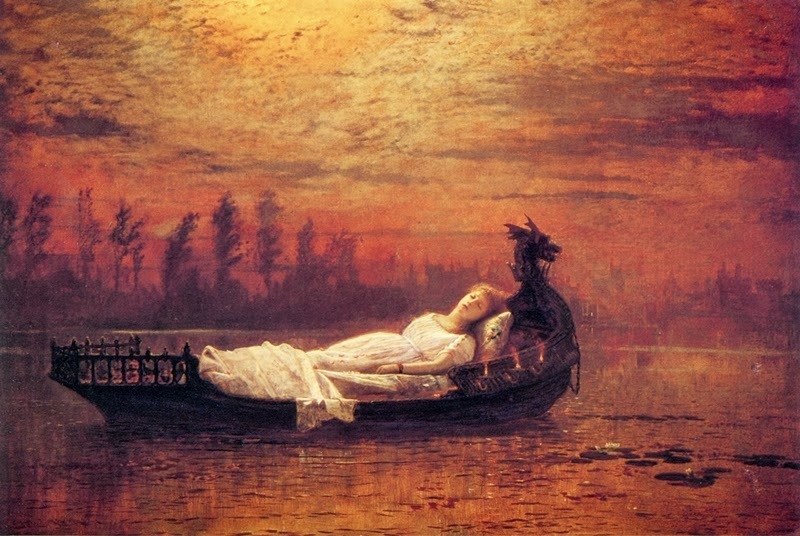 His subject choice ranged from the pictures of Tennyson including Elaine and The Lady of Shalott and Longfellow. 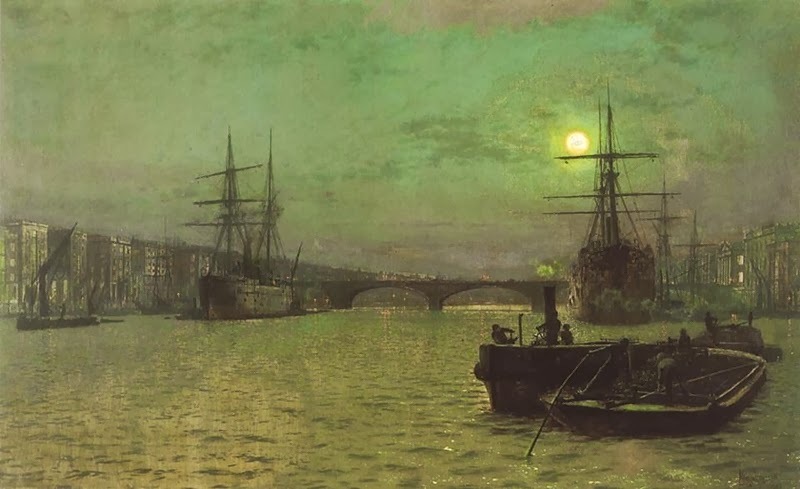 When James Abbott McNeil Whistler visited Atkinson’s James said “I considered myself the inventor of Nocturnes until I saw Grimmy's moonlit pictures". 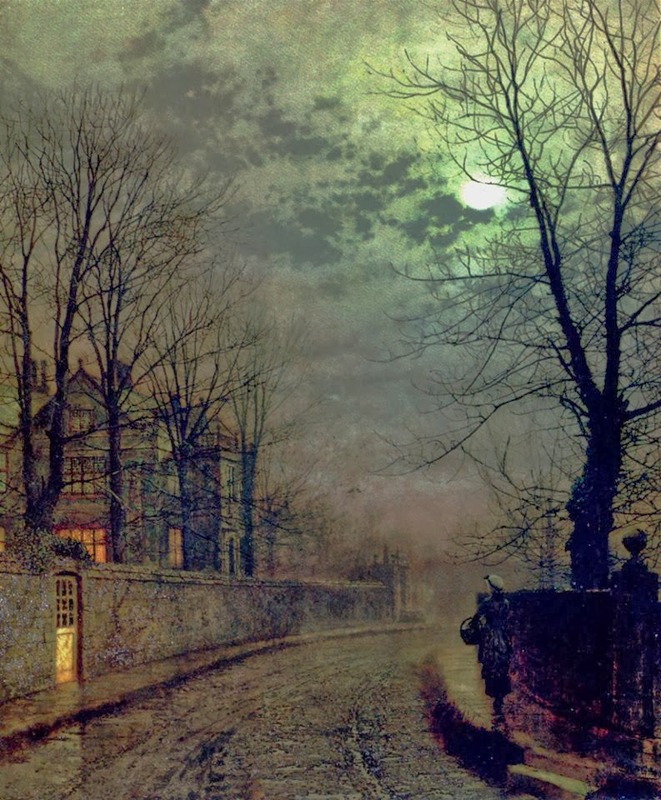 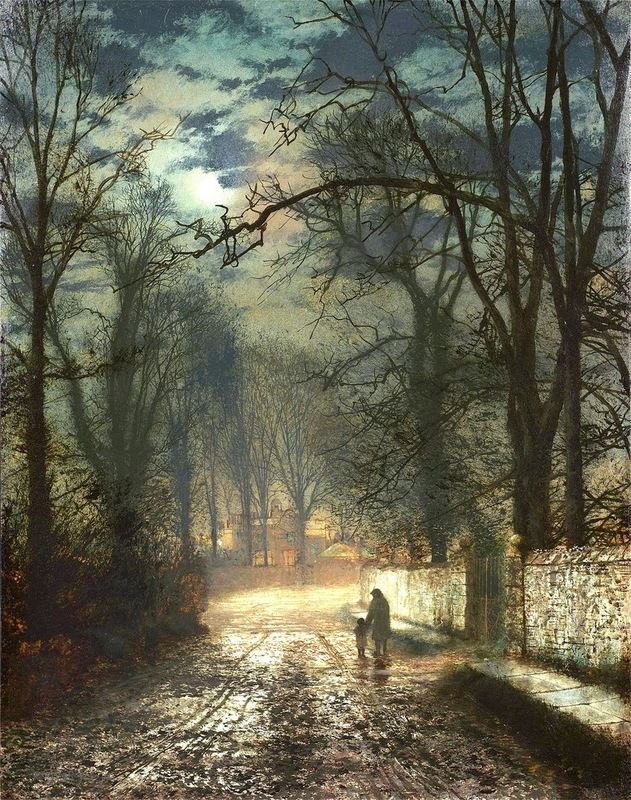 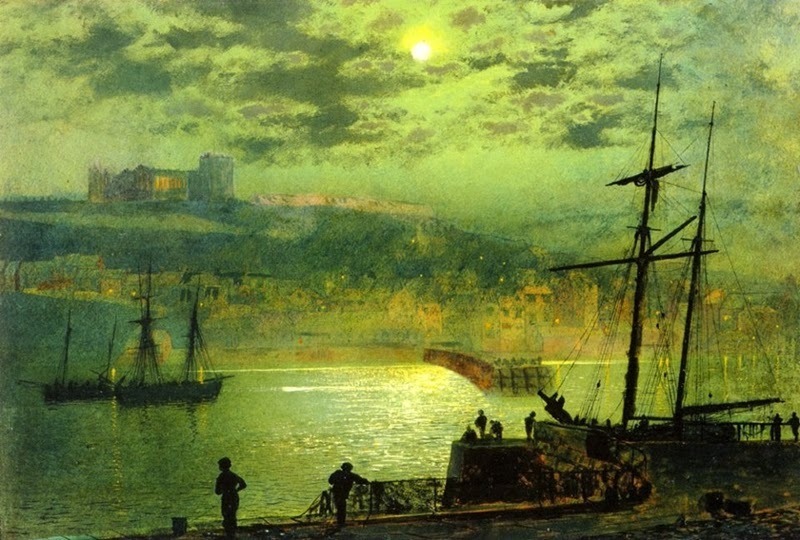 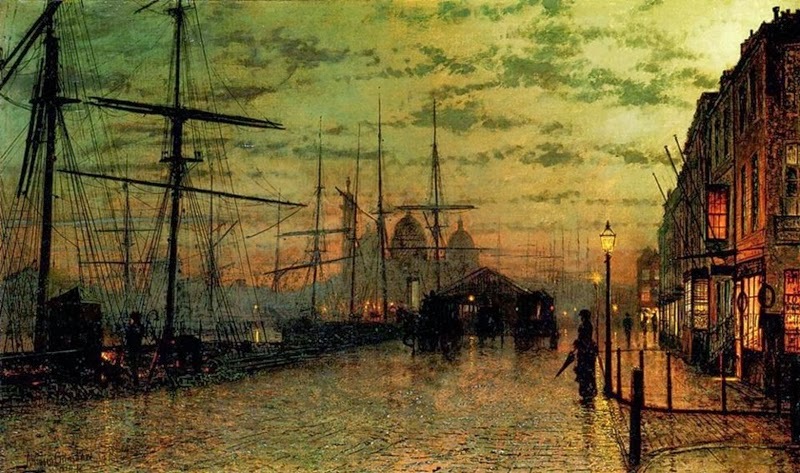 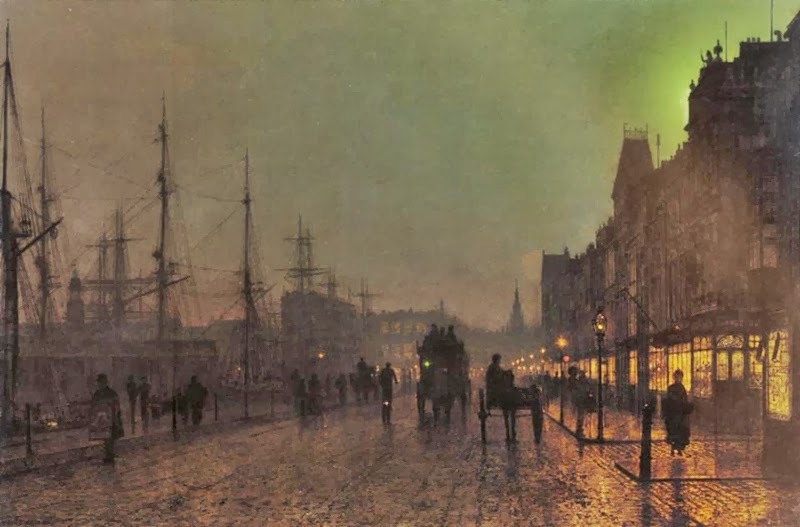 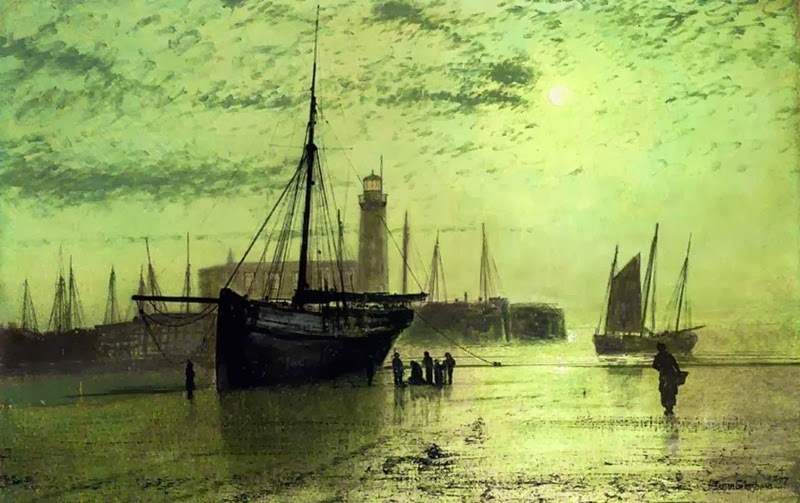 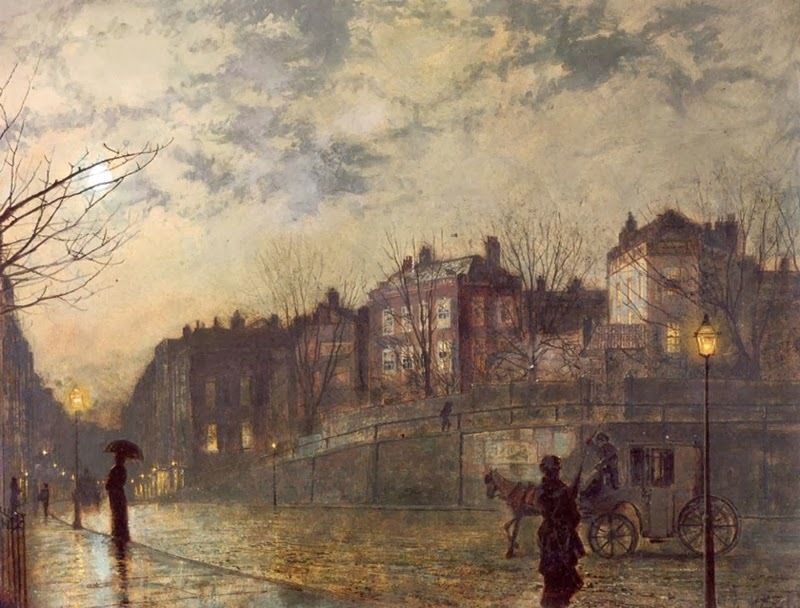 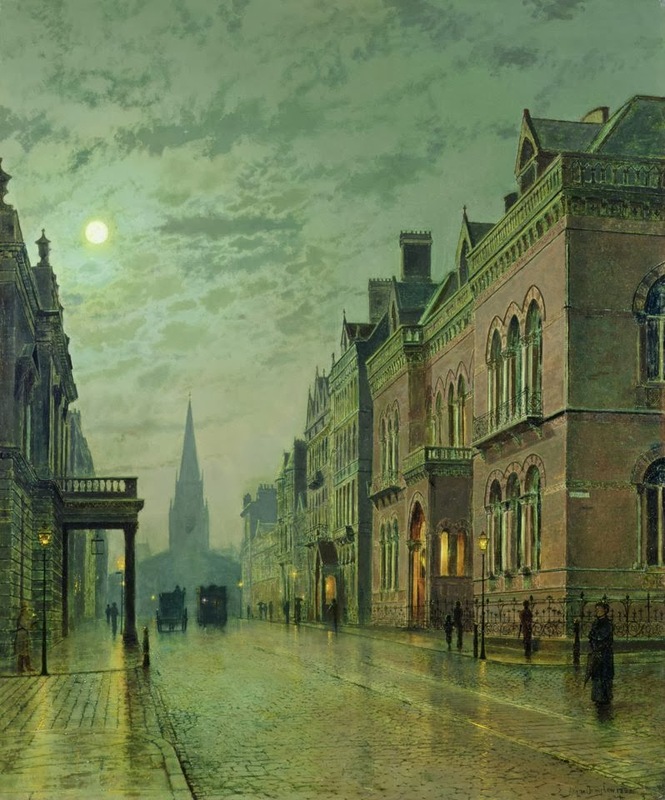 Grimshaw also worked in realistic themes in addition to work with impressionistic night scenes. 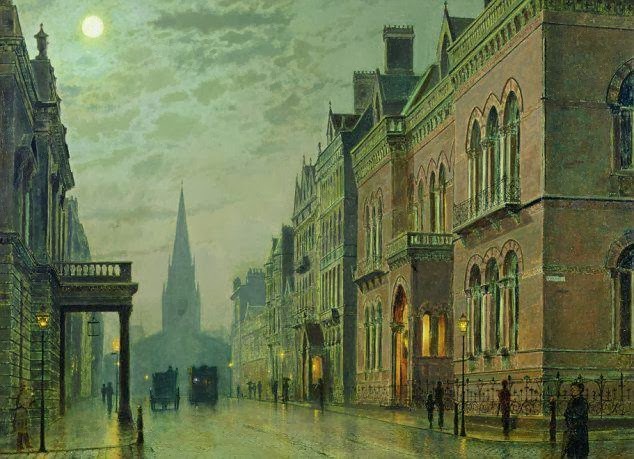 His pictures innovated in applying the tradition of rural moonlight images to the Victorian city, recording "the rain and mist, the puddles and smoky fog of late Victorian industrial England with great poetry". 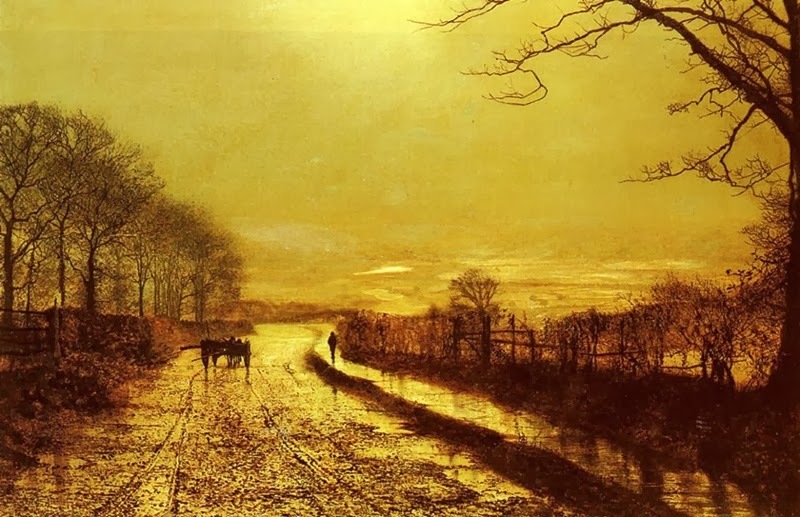 His paintings correctly and wonderfully portrayed the dirty, filthy and depressing sides of industrial towns; his paintings depicted the aspect of contemporary world as well. 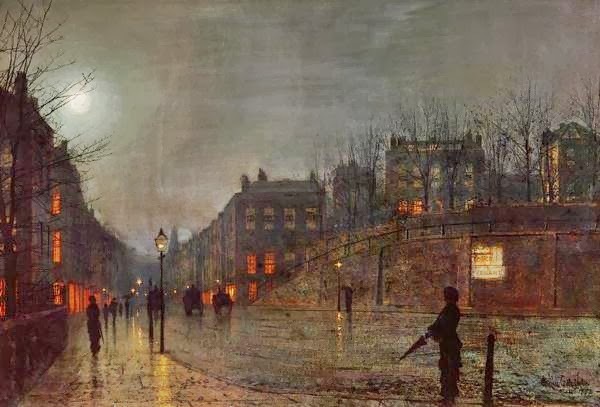 The way he presented urban cityscape paintings, it’s rightly said to be a lyrical evocation of the industrial era. 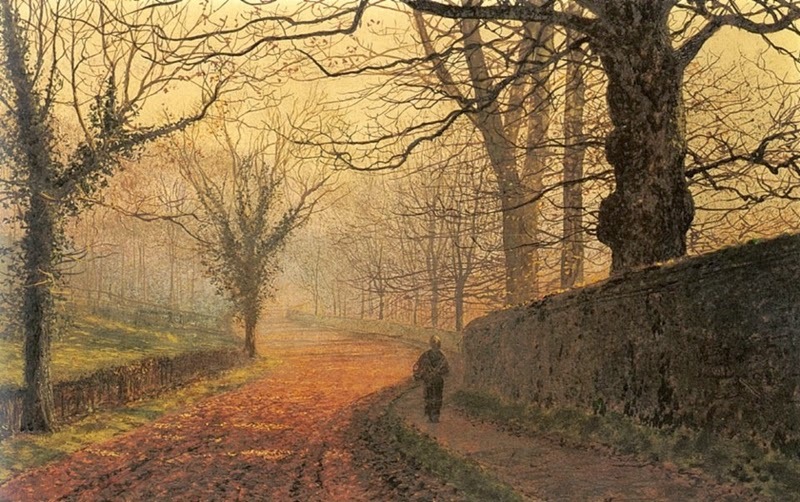 He has transcribed and portrayed the mist and fog of the early morning very beautifully. 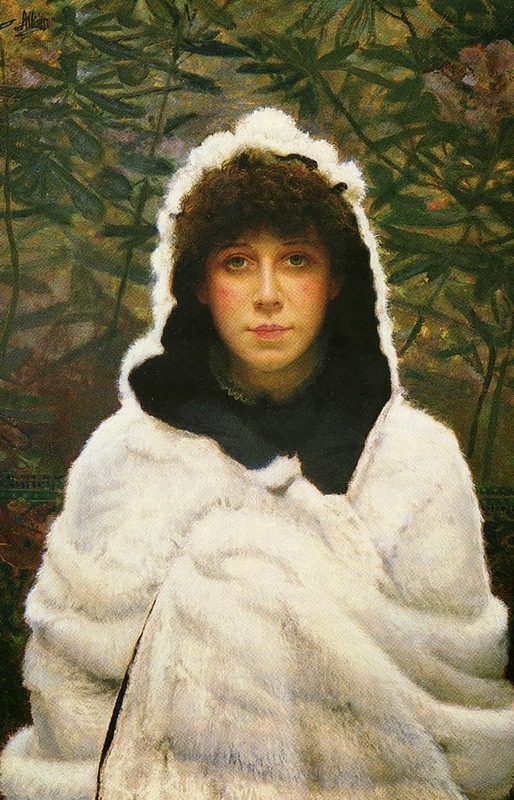 The capture of the chilling morning was commendable; the chill of the atmosphere with heavy clothes of some of his rare figurative work was pretty nice and mesmerizing. 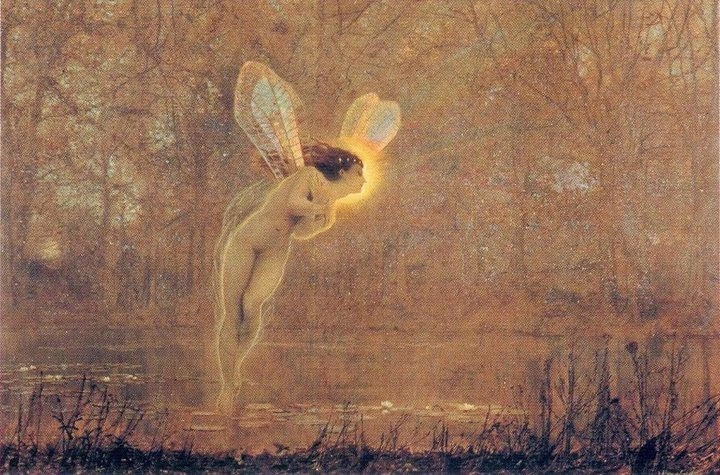 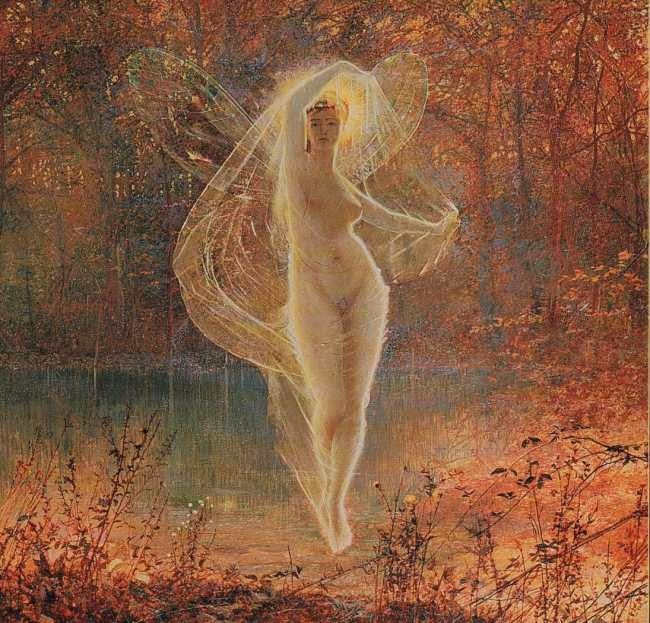 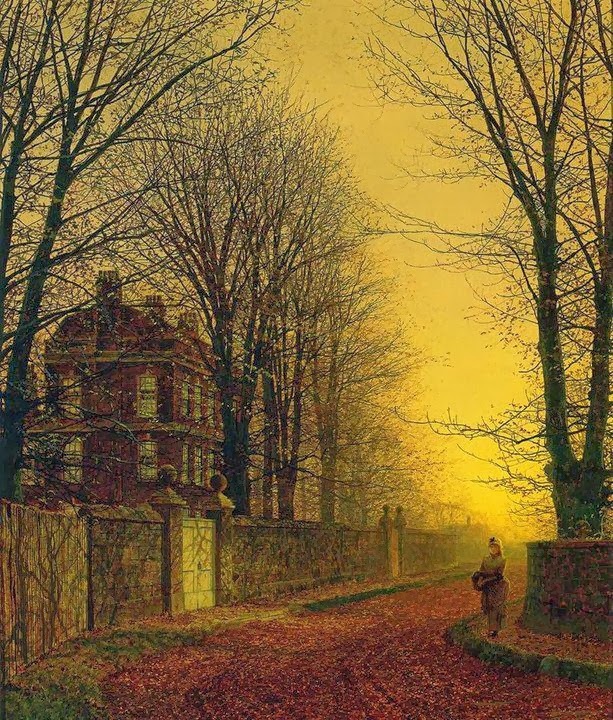 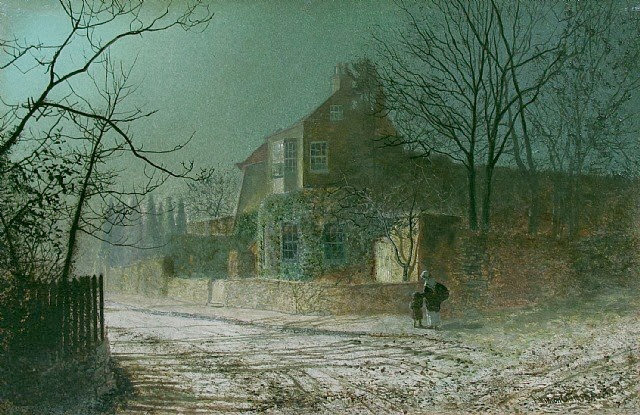 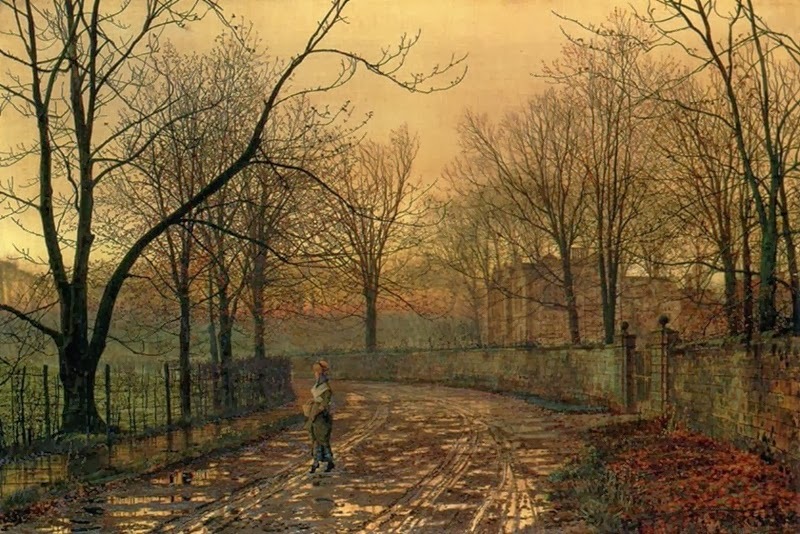 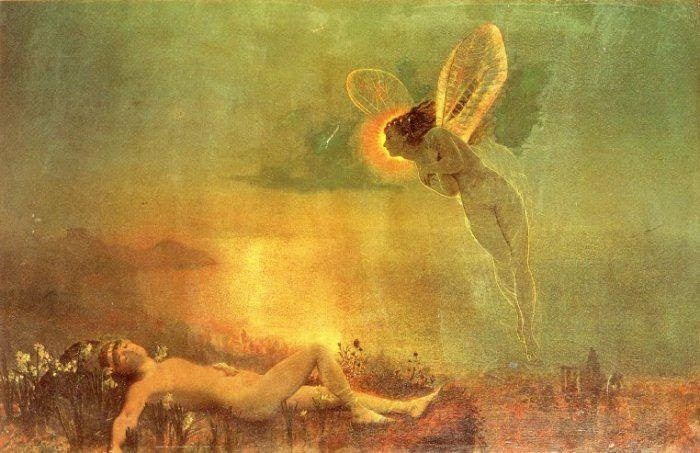 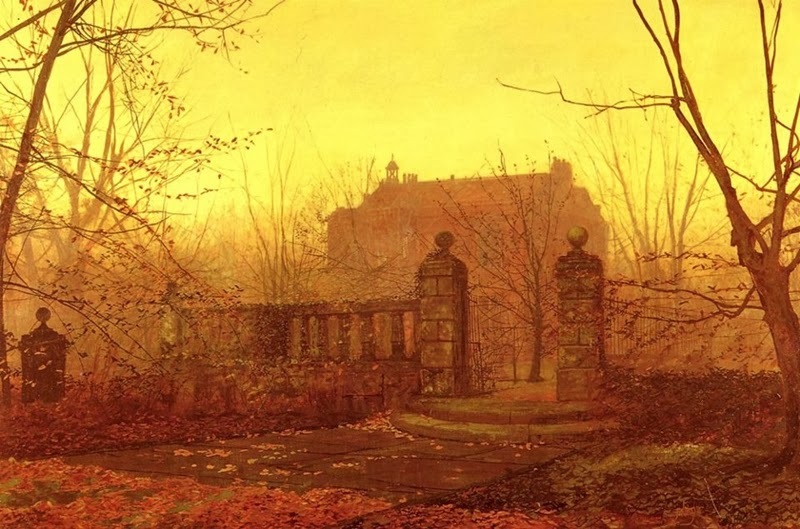 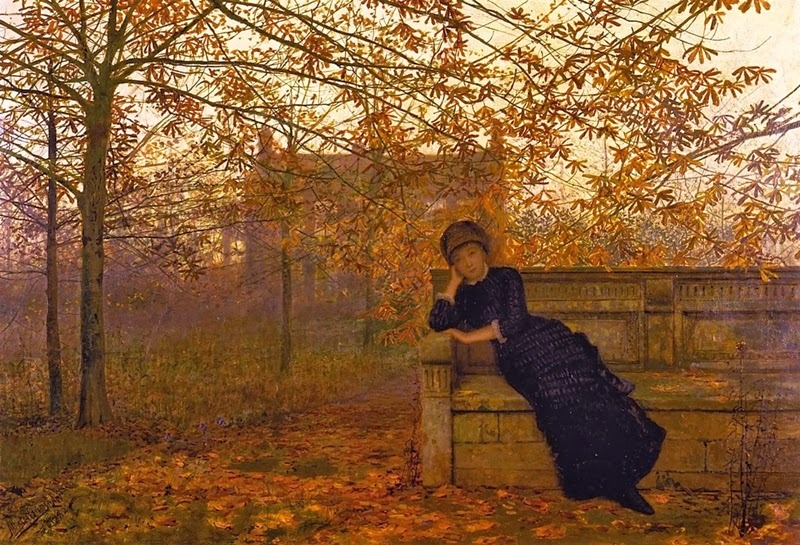 Atkinson Grimshaw later died in 13 Oct 1893 and was buried in woodhouse cemetery, Leeds.